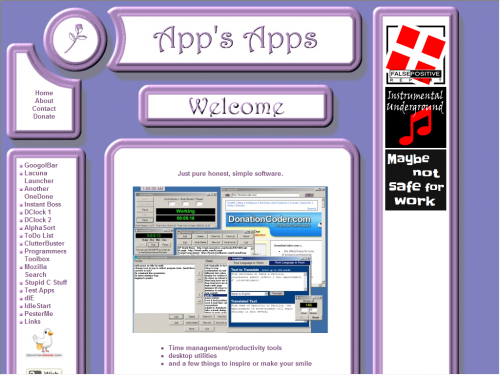 For the first 13 years, this website looked like this, a template that was chosen by a vote of my friends, from among a collection of about 10 template demos I had created. It was a static site with a modular design, that relied heavily on a collection of php includes, to assemble all the various page parts. For its entire life, it was in a constant state of being unpolished and unfinished, rather slapped together as a proof of concept, a functional demo. In my opinion, the template should never have been uploaded to the web. But that’s the one my friends liked best, so that’s the one I used. While the modular design made updating it easier than a typical static HTML template, it was still bothersome to make changes and add new content, an issue that moving to a content management system (CMS) could easily fix. So, finally, after 13 years, I have given the site a new design and lots of improvements, and moved it to a CMS. 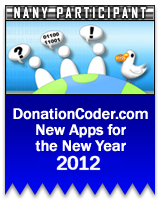 Some sections and apps have been removed or moved to another site. Hopefully, this won’t inconvenience anybody, but if you are looking for something specific that used to be here and you can’t find it, please feel free to contact me. I also plan on writing some how-to tutorials, plus updating a few older ones published elsewhere, and moving them to this site. Will there be more applications added in the future? Will I ever update any of my existing apps? Yes, and yes. It may not come right away, but I do have lots of stuff cooking on the back burners, that I will complete and add as I find the time. In the mean time, I do have a request. If you have ever written a review about any of my applications, regardless of how long ago, please reach out and let me know. I am looking for good reviews to link to, on each application’s page.